3085 - Photo: Ralph Tilley Collection. 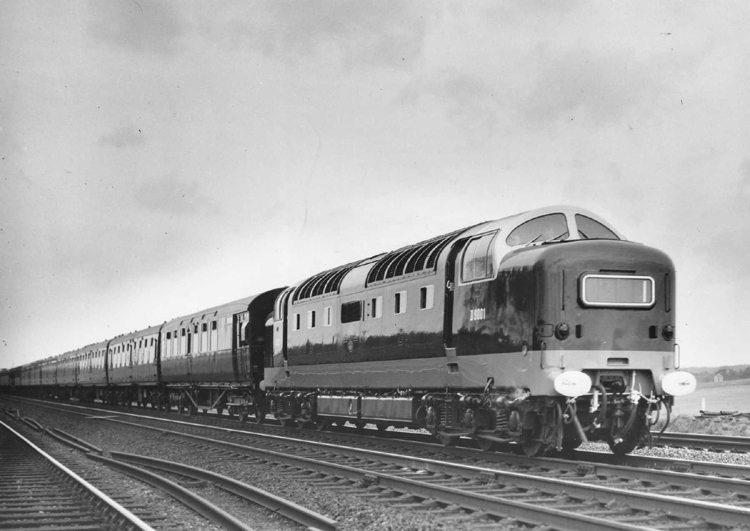 D9001 heads south between Little Bytham and Essendine with a high speed test run on the 28th February 1961. 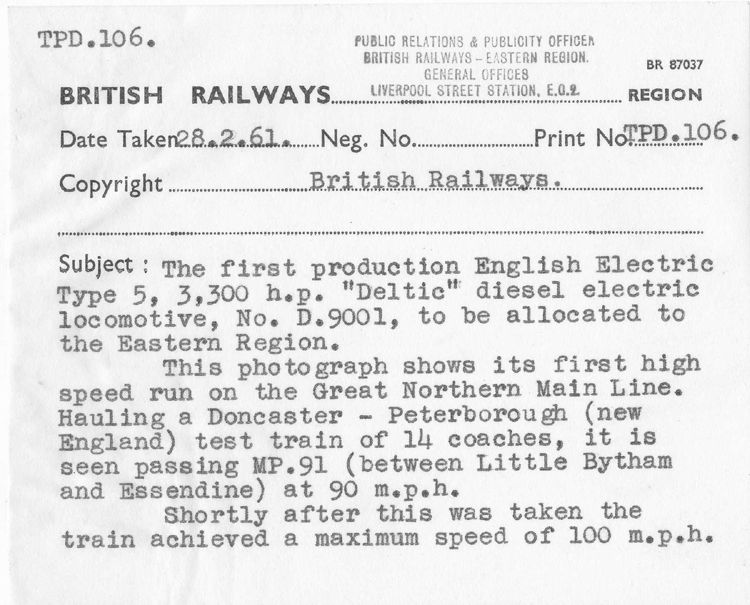 The offical BR form below credits this as D9001's first high speed run, though records show this occurred on the 23rd February 1961. It is possible, therefore, that this photo may be incorrectly dated. 3085/A - Photo: Ralph Tilley Collection.